Andre Roberson has somewhat of a mixed reputation in the NBA. He is often heralded as one of the best defenders in the league due to his an uncanny ability to contest shots, and he has also been consistently praised for his ability to lock down some of the NBA's most deadly offensive forces. However, Roberson is also perceived as somewhat of a liability due to his lack of ball-handling skills, and his non-existent threat on the offensive end. Despite being a regular starter since 2014, Roberson has averaged over 5.0 points per game in just one season, and during the 17/18 season, the 27-year-old shot just 22% from deep while also shooting just 32% at the free-throw line. The power forward is also recovering from a serious left knee injury that has kept him out for more than a year. During his time away, the likes of Terrance Ferguson have made a permanent claims to a place in the Thunder team, and with just a year left remaining on his contract, OKC may look to move him on. 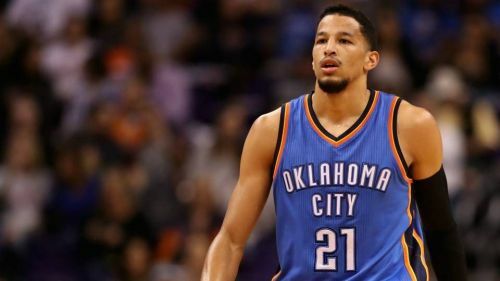 So, as we head towards the summer, here are three teams that could make a move for the Andre Roberson. The Washington Wizards are once again looking at a rebuild, although efforts have been derailed by John Wall's injury woes. 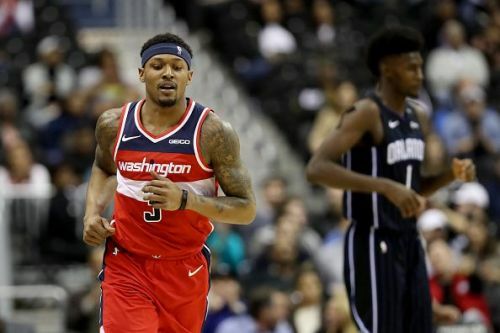 Back at the start of the 18/19 season, reports widely suggested the Wizards were willing to trade away both Bradley Beal and Wall as part of a rebuild, although these plans appear to have now been put on hold until Wall returns from injury in 2020. Due to this, the team has focused on bringing in experienced players on short contracts, and Roberson would be a similar fit to Trevor Ariza, who was signed earlier this year on an expiring deal.